Vern Burkhardt (VB): Would you talk about the difference between technical and physical contradictions? Jack Hipple: In TRIZ there are two main types of innovation problems. One is technical or perhaps it could be thought of as engineering contradictions. These occur when two different parameters in a system conflict with each other. Something will get better while, at the same time, something else will get worse. One element improves, the other degrades. For example, something could be stronger but at the cost of weight of the object. Greater bandwidth requires more power. A third example is when you need the temperature of the water to be hot, but making it hot interferes with some other process or functional need. Technical contradictions are expressed in terms of 39 possible parameters of physical and engineering systems. Contradictions were mapped between these parameters to identify the inventive principles most frequently used by the most inventive patents. The TRIZ contradiction table points to which of the 40 inventive principles are most likely to solve your problem. Genrikh Altshuller and his associates began this analysis in 1946 and work has continued to refine the TRIZ methodology since then. The second main type of innovation problems, physical contradictions, is where an object has contradictory requirements so that one parameter within a system conflicts with itself. This is the case when you need the temperature of the water to be both hot and cold to satisfy different design requirements. Coffee or tea needs to be hot enough to enjoy, but if too hot they burn your esophagus. Software should have powerful features, but be easy to use. A pen tip needs to be sharp to write fine lines, but blunt in order to avoid tearing the paper it is writing on. Physical contradictions are resolved through the use of the Separation Principles of Time, Space, Scale – Parts and the Whole – and Condition. A bicycle chain has rigid links, but flexible at the system level. A kitchen sieve is solid at the macro scale, but porous at the micro scale. If the water has to be hot and cold at the same time, then we must detach the water from this dilemma. Often there is an underlying physical property that is the root cause of a contradiction between two different parameters in the TRIZ contradiction table. Whenever possible, identifying the physical property which is at the root cause of the conflict between these two parameters will better focus the contradiction and make it easier to solve the problem. One of most significant of all the many problem-solving principles and tools within TRIZ are the Separation Principles. For each of the four basic principles there are identifiable inventive principles which are most likely to lead you to a solution to your contradiction provided that the basic conditions for that basic principle exists. VB: What advice do you have about how to resolve a physical contradiction using the basic principle of Separation in Time? Jack Hipple: It involves changing a property, response, or behavior over time. The types of questions you would ask about the water contradiction using TRIZ would be whether or not you can create a time differential for when the system needs cold water and when it needs hot water. If so, you might develop a schedule to rotate the temperature of the water. More generally, referring to the TRIZ inventive principles you might consider using a carrier which lends its property for a period of time and is then removed. Or consider using a transformable state. You might consider segmenting the object and then merging or unmerging it to create the two desired states. In order to decide whether separation in time is possible, you need to ask whether the critical conditions can be separated in time or must exist concurrently or whether they must overlap in time. 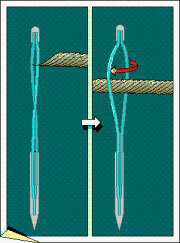 Consider the example of driving piles for marine floats. You want them to be sharp so it is easy to drive them into the ground, but you want them to be blunt on the end in order to be strong and have good load bearing properties. Since these two conditions do not need to exist at the same time it is a good candidate for the separation in time inventive principle. One idea for a solution to this contradiction may be to have a small explosive charge at the bottom of the pointed end to blow the point off once it is in place, and then to pump concrete into the resulting cavity – an idea generated through the intermediary inventive principle. Another idea resulting from intermediary may be to have a mechanism which spreads horizontally once the piling is in place. Or a blunt pile might be attached to a sharp pile, but the bottom of the blunt pile when in place will be only even with the seabed. Rearranging two objects might suggest that you drive in the pointed piling, extract it, and replace with a blunt ended piling. The key is that a systematic approach of considering each inventive principle which applies to the principle of separation in time should generate many alternative solutions to the contradiction. VB: How do you know which inventive principles to use for solving problems, for solving contradictions, when considering separation in time? Jack Hipple: The TRIZ methodology identifies which inventive principles are most likely to be useful when using each of the separation principles. Preliminary anti-action, preliminary action, beforehand cushioning, dynamism, partial or excessive action, mechanical vibration, periodic action, continuity of useful action, skipping, copying, discarding and recovering, and thermal expansion are most likely to solve contradictions where you are considering the principle of separation in time. A systematic approach should be followed where you use each of these inventive principles to analyze the contradiction or contradictions in your problem. The possible solutions should be documented and then after you have completed your analysis by using these inventive principles you can decide which ones are worthy of further analysis and comparison. Ultimately you will choose what you think is the best solution or solutions. VB: What about the principle of Separation in Space? Jack Hipple: It involves changing the property, response, or behavior based on a special location. Returning to our contradiction of needing hot and cold water at the same time, you might ask whether or not you can manipulate the system so it can have a separate space for cold water and a different space for hot water. This would result in the conflicting needs coexisting. Another would be to make the object have both properties, but have them in different places thereby making it non-uniform. Or you could ask whether you could separate the opposing properties into two objects. This last alternative is a powerful method of resolving contradictions, but it is often overlooked because if its apparent simplicity. In the case of the pile driving illustration, this might lead to the possible solution of having one pile that is sharp and driven deeply into the seabed and anther nearby which is blunt and not driven as deeply into the seabed. VB: And solving the contradiction by Separation between the Parts and the Whole? Jack Hipple: This involves changing a property in order to make it different in the sub-system, system or super-system. It is uniquely different than Separation in Time and Space. At the same critical moment in time and in the same space, a group of objects can have a collective property and its parts can have the opposing property. With the principle of separation between the parts and the whole you may either hide one of the properties or express both, and the choice will depend on how your arrange the parts. This separation principle is especially useful when you want to hide or dispose of one of the properties. If so, you arrange the elements in order to minimize critical interactions – perhaps even hiding the elements. The purpose of separation between the parts and the whole is to end up with only one important property. Using the pile-driving example yet again, you ask yourself two questions to decide whether this separation principle has the possibility of generating solutions. The first is whether there are any critical times in which the blunt pilling and the sharp piling must be hidden or minimized to solve the problem. Also, you ask whether there is any critical moment in time when the sharp and blunt piling characteristics must be expressed at different scales. If the answer is ‘no’ to these two questions, it would lead you to conclude that separating between the parts and the whole will not produce any useful solutions to the problem. Dow Corning Corporation is one of the world’s largest suppliers of silicone materials, and it has a large number of technical staff to support customers by answering their questions about product use and technical applications. Of course, these costs are embedded in the product price. As a business strategy, Dow Corning established a business model in which Xiameter was created as a separate entity to serve customers who were self-sufficient and wanted the best price for order fulfillment with no customer service. This model separates resources according to types of customer needs. Xiameter provides online ordering for fluids, emulsions, silanes, and silicone rubber bases, compounds, and liquid silicone rubber at prices based on volume commitments. No customer service is offered other than the ability to download chemical equivalency documents, safety data sheets, and some other technical information. If you need customer support you may choose to do business directly with Dow Corning rather than Xiameter, but tradesmen who are familiar with the products and their use may save money by using the self-serve business process. VB: Would you talk about the Separation upon Condition principle? Jack Hipple: In the application of this separation principle, a system or organization is designed to change its behavior or response as a function of what is presented to it. For example, many devices are designed in such a way as to respond to differences in viscosity, particle size, or temperature. The application of this principle in the management and organizational sense would imply, for example, that an organizational structure or its individuals would change their processes or behavior as a function of external business conditions. Think of a merger of competitors or a competitor obtaining a new patent which impacts your business. Many organizations maintain special task forces that are only activated by special circumstances, such as public relations concerns, safety or environmental crises, or special business conditions. 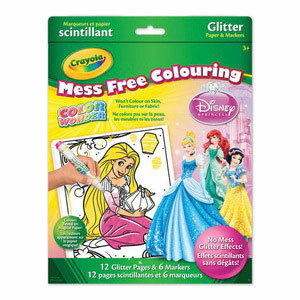 An interesting consumer example of separation upon condition is the new Crayola® product for kids to color. It uses a special crayon and a paper design, which only enables coloring on a specialty paper that you must buy from Crayola®. The crayons will not write on walls! VB: How might you solve a physical contradiction using Separation by Direction? Jack Hipple: Separation by direction is one of the most powerful of the separation principles. An object could have conflicting properties in different directions in the same space and at the same time. A simple illustration of what this means is rope. It is stiff when pulled in the direction of tension, but flexible when pushed. To decide whether separation by direction has the potential to lead to solutions to your physical contradiction ask yourself whether or not one of the conflicting properties already exists in a different direction or whether it can be modified to be so. You could have one property in one direction, and the other in another direction. Ideas for solutions using this principle will usually emerge if you mentally consider the directions of opposing, right angle, and rotary. 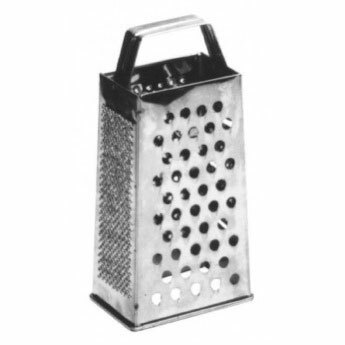 An example is a food grater. The blades are sharp in the direction of grating, but become smooth when the food is pulled over it in the opposite direction. VB: Would you share a few more examples of how the TRIZ separation principles can be used to solve problems? Jack Hipple: There are many cold medicines which cause drowsiness as well as formulations that do not cause drowsiness. Coricidin put them all into one pill using the TRIZ separation principle of separation in time. Here is another example of separation in time. It is difficult to pass a thick thread, such as yarn for embroidery crewel cross-stitch beading, through the small eye of a needle. This situation is represented by the contradiction that a needle must have a large eye to facilitate insertion of the thread, and must have a small eye for convenient sewing. The Pace Big Eye Ultra-Thin Needle, invented by R Pace in Great Britain, is made of two thin, spring-like wires of identical length. The wires are welded together at one end, twisted three quarters of a turn, and then welded at the opposite end. When the 2.25 inch long needle is slightly unwound, a large slot appears through which a thread can easily pass. When released, the needle returns to its initial shape and grips the thread. It is both wide and narrow, but these parameters are separated in time. Jack Hipple: Open ended and box end wrenches are great for grabbing onto things, but the narrow side bites into the palm of your hands when you apply pressure to it. The molds for these wrenches have existed for a long time which seems to have created a psychological barrier to change other than refinements to the type of metal used and the design of the ends of the wrenches which are used to turn the nuts. All you needed to do was twist the design of the wrench 90 degrees and then the flat side would be against your palm, thereby increasing the area against your palm five fold or more and spreading the pressure on your hand when you need to exert a large amount of torque. The X-BeamTM wrench uses the TRIZ inventive principle of separation in Space – thin where you want it, thick where you want it. CNN iReport is another example of separation in space. Why pay for a large number of reporters to travel around the country to identify and cover developing stories when you can use millions of people and their egos, which can be CNN’s ‘resources’, for free? A number of years ago lost a child died due to taking the wrong prescription dispensed by a Target pharmacist. 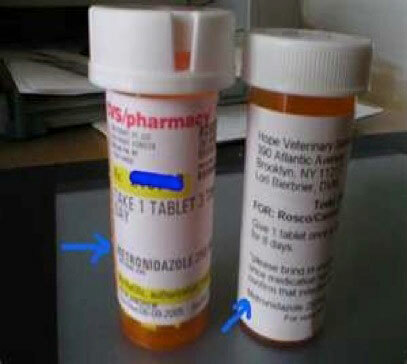 This led to Target changing its method of labeling prescription bottles. Today if you are taking any prescriptions dispensed by pharmacists other than at Target, I suspect that the boldest print on the label is the name of the store, their hours, and other extraneous information. 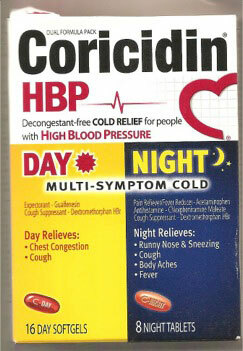 Likely the name of the medicine – the most important thing on the label – is below in fine print along with dosage. If you look at a Target prescription bottle label you'll see the name of the medicine and dosage in bold print at the top. This is the separation in space principle as well as non-uniformity. Metal surfaces are chemically coated by placing the metal work piece in a bath filled with a metal salt solution such as nickel or cobalt. During the ensuing reduction reaction, metal from the solution precipitates onto the surface of the work piece. The higher the temperature, the faster the process takes place. The problem is that at high temperatures the solution decomposes and up to 75% of the chemicals are lost because they settle to the bottom and cling to the sides of the bath. Adding stabilizers is not effective, and conducting the process at a low temperature sharply decreases production. The solution to this contradiction is the work piece is heated to a high temperature before it is immersed in the solution, and the process is therefore conducted at a low temperature. The solution is hot near the work piece but cold everywhere else. One way to accomplish this is to apply an electric current to the work piece during the coating process. 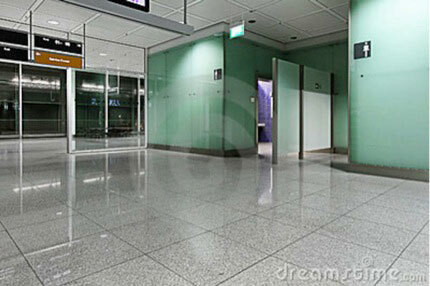 Public bathrooms in airports and in an ever increasing number of public buildings have resolved the contradiction of needing an entrance door, but not wanting it to exist due to ease of access and hygiene. This is a contradiction between privacy and accessibility. Using the separation in space principle, they are designed to enable you to enter either a male or female bathroom without going through any door. VB: In your experience, is it often difficult for people to work toward resolving conflicts with innovations to the extent that they are compromise free? Jack Hipple: Most of us do not like dealing with paradoxes. Instead, we try to overcome the situation by compromising, making a trade-off, or finding an optimal solution. In many situations this will work, but often contradictions are significant and compromise is not possible and, even if possible, not desirable. The tendency to compromise in resolving a contradiction can be due to psychological barriers rather than a conscious choice. Some examples where ‘common knowledge’ could result in psychological barriers against resolving the contradictions include size of an organization and speed of response, weight of a car and fuel efficiency, rapid access to information and security over data, and wound coverage and ability of the wound to ‘breathe’. To overcome these types of physical contradictions it is useful to separate the two contradictory requirements and then to consider how you might separate these requirements in time, space, upon condition, and between parts and whole. If something has to be light and heavy, ask whether it has to be heavy everywhere or only in certain places or times. Can the desired property be attained by a mechanism that reacts only to an external condition? It comes back to ensuring you define your problem in generic terms so you can identify and try to solve the basic contradictions, and then use some of the hundreds of problem solving principles contained within the TRIZ tool kit. VB: There is a lot to learn about TRIZ. Jack Hipple: Yes, but you don’t have to master all of TRIZ in order to begin using its power. It helps, of course, if you take a course or two. Don’t accept compromises; instead, eliminate them. The resolution of contradictions is the key to breakthrough inventions, and TRIZ provides a methodology for doing so. Somebody, someplace has already solved your problem or one similar to it. Focus on solutions rather than on problems, and ask how you can use existing resources to achieve it. Creativity is finding that solution and adapting it to your current problem. The 40 inventive principles will provide a guide to where to place your innovation efforts related to a problem – to resolve its contradictions. The inventive principles most applicable to separation in space include segmentation, taking out/trimming, local quality, asymmetry, nested doll, other way around, curvature, another dimension, intermediary, copying, and flexible shells/thin films. The inventive principles most applicable to separation in time include preliminary anti-action, preliminary action, beforehand cushioning, dynamism, partial or excessive action, mechanical vibration, periodic action, continuity of useful action, skipping, copying, discarding and recovering, and thermal expansion. The inventive principles applicable to separation upon condition – physical property of a system changes in response to an external condition – are mechanics substitution, pneumatics and hydraulics, porous materials, color changes, parameter changes, phase transition, and strong oxidants. TRIZ requires rigorous and systematic thinking. The ultimate conclusion is take a course about Triz, and follow Jack Hipples’ earlier advice: “Try it.” I would also add practice it and stick with learning the TRIZ problem solving methodology.